A new fine motor book! This new book just launched today! 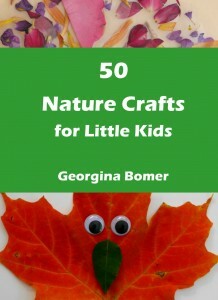 Featuring crafts for all four seasons, this book includes crafts inspired by natures and also those that are made from natural materials. Available in paperback, ebook and Kindle formats. See the Craftulate page for more information.